Kansas City is rapidly becoming one of the nation’s most welcoming cities for visitors with disabilities. Starting with an airport that’s considered exceptionally user-friendly to a mass transit system that just added a new Downtown streetcar line with convenient accessibility for all users, the City is keenly aware of the needs of all travelers. “Kansas City has made great strides to be more inclusive and accessible to people with disabilities,” said Candice Minear of The Whole Person, a nonprofit resource organization for individuals with disabilities. 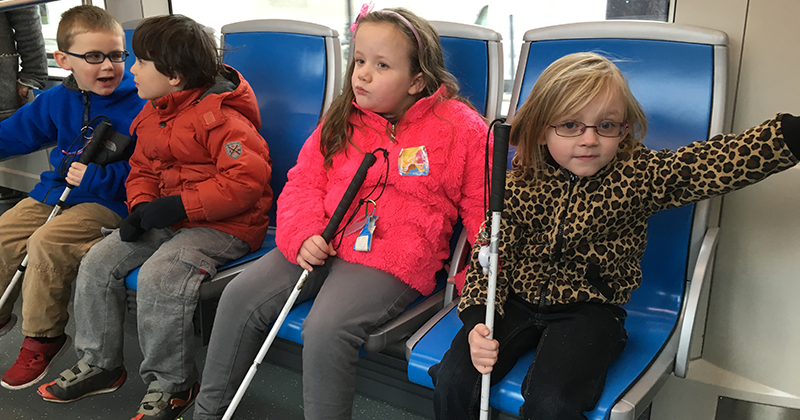 For the past several years, Kansas City has embraced what it calls Project Civic Access, a program intended to maximize accessibility to public buildings and attractions. It has led to millions of dollars being invested in curb cuts, ramps, new building entrances and state-of-the-art accessible pedestrian signals that tell visually impaired people not only when to cross but the name of the street as well. One of the more prominent accessibility projects is at Bartle Hall, part of the Kansas City Convention Center. Its ground-level entrances along 13th Street are being completely rebuilt to maximize their convenience to visitors with disabilities. “It will be very forward looking, very 21st Century,” said Paul Lillig, a professional design consultant that serves people with disabilities. He and Minear are members of the Mayor’s Committee for People with Disabilities. Lillig said the City built an informative website to assist people with disabilities and noted that work is underway to establish a Yelp page where Kansas City visitors can find answers to their accessibility questions concerning hotels, restaurants and other attractions. The future of new construction also is promising. As part of the city development review process, project plans are evaluated for their accessibility to visitors with disabilities and changes recommended if they fall short. “That’s why I think we’re trending to being a more accessible community,” Lillig said. 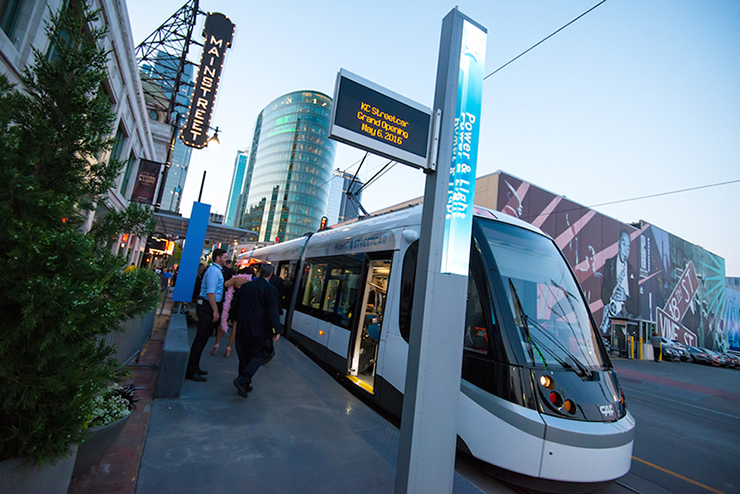 The newest way to access Downtown Kansas City is with the 2.2-mile KC Streetcar route that links many of KC’s major attractions and neighborhoods, including the Crown Center District, historic Union Station, the Power & Light District and the historic River Market. Minier said the streetcar has been a great addition and has greatly extended the range of her power wheelchair. “It’s freed up people to travel around the city to check out the restaurants and attractions,” she said. Susie Haake, a disability advocate, added that all of the City’s conventional buses are ramp-equipped and accessible. For more customized trips, there’s the “Share-A-Fare” paratransit system and a new, app-based transit program called BRIDJ that serves downtown, the 18th & Vine Historic Jazz District and parts of Midtown. “Kansas City’s commitment to becoming one of the nation’s most welcoming cities for people with disabilities is all about living up to its reputation for being one of the nation’s most livable cities,” said David Westbrook, senior vice president of strategy and innovation at Children’s Mercy Hospitals and Clinics, and a member of the Mayor’s Committee for People with Disabilities. Westbrook added that the City has stepped up its efforts to achieve its accessibility goals by consciously empowering people with disabilities to advise leaders on innovative ways to make accommodations that do more than merely dispatch the requirements of the ADA. Convention Center amenities include ADA-compliant restrooms, family restroom facilities, Text Teletype and assisted listening devices. The Convention Center’s hospitality room will assist meeting planners in securing any other needed equipment. 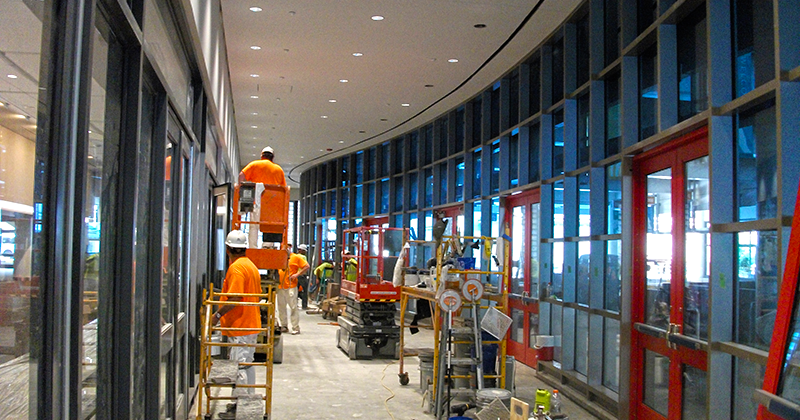 To speak with the Convention Center’s ADA specialist, call (816) 513-2533. 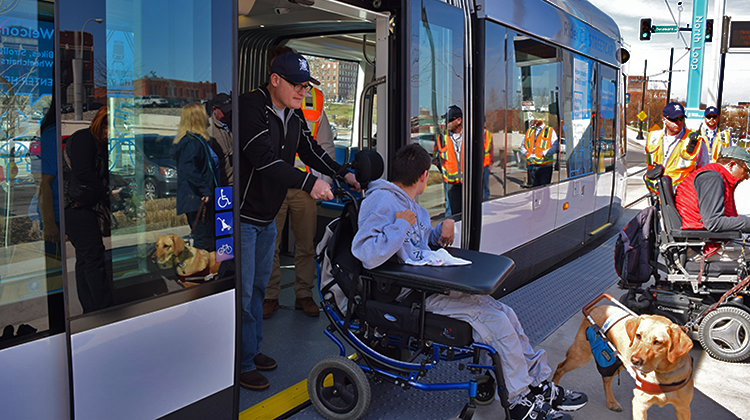 Passengers with disabilities are eligible for reduced fares with the Kansas City Area Transportation Authority (KCATA). These travelers may ride The Metro at half the regular cost if they are Medicare card holders. One attendant may ride free. The Metro provides lift service for passengers who use wheelchairs every bus route. For more information about The Metro and its routes, visit www.kcata.org or call Metro Customer Service at (816) 221-0660. A teletypewriter is available at (816) 221-0380. For more resources, please visit the City of Kansas City, Missouri's website or call (816) 513-2533.